Puffer Jackets Just $15.99! Down From $85! Many To Choose From! You are here: Home / Instagram / Puffer Jackets Just $15.99! Down From $85! Many To Choose From! Puffer Jackets Just $15.99! Down From $85! Wow! 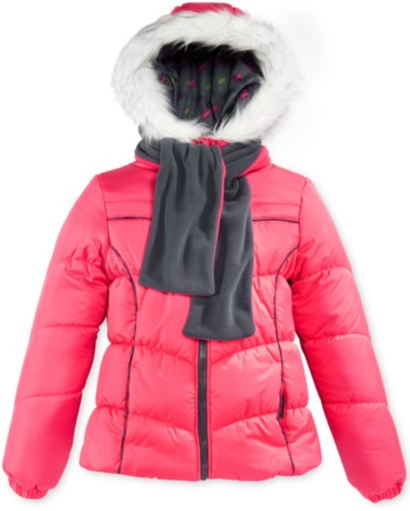 Macy’s has their Puffer Jackets on for just $15.99! Many To Choose From! The one above is marked down from $85.99! Bundle her up in this hooded puffer jacket and scarf from London Fog—to keep nice and cozy on blustery days.